I am also writing to clarify the ambiguity regarding the ALG. The ALG is not a public space. Like the Blue Nose Restaurant, the gallery is “open to the public”. The sidewalk where we picket is public space. As striking faculty we are currently not “the public” in relation to NSCAD University. We are “legal strangers” who, to ensure that we receive a fair and equitable contract, have withdrawn “all” of our services from the University. In exchange, we have surrendered the salaries and benefits that the BOG and Administration are currently harvesting to take back to the negotiating table. A significant difference between the Blue Nose Restaurant and the ALG is that when I enter the ALG I will cross the FUNSCAD Picket Line, breaking rank and solidarity with our colleagues on the line. Solidarity is the first principle to winning a strike. It does not matter if you are supervising a student in the gallery or not. This is not an issue. 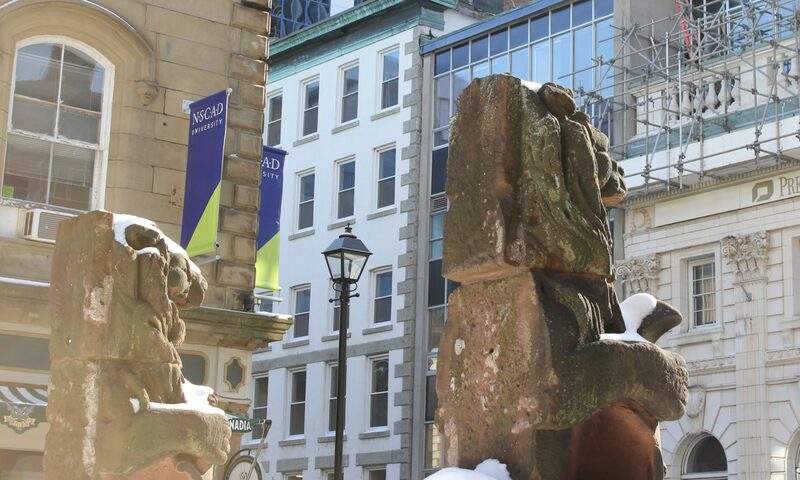 In fact, if you are NOT supervising a student in the gallery than you have no reason to enter NSCAD and your solidarity will stand uncompromised. The BOG, Admin and their Lawyer would be pleased to see striking faculty in the gallery. They will see that we do not stand united. If we cross the picket line you will also be establishing a friendly/unfriendly faculty dichotomy perceptible to the students. This also divides the solidarity that we desperately need to weather what may be a long and protracted job action. It breaks my heart that I will not be in the ALG this evening to celebrate with two of the MFA students that I supervise. In addition, I have had a close working relation with the exhibiting undergraduate student as well. Bottom line; in solidarity with the members of UNIT 1 and the Union Executives call for a strike, I will not cross the picket line.